Make sure everyone knows whose hen party it is when you wear this amazing Bride To Be Hair Clip on your big night out. This subtle accessory will add a fantastic finishing touch to your outfit. This tastefully exquisite hair clip features bold pink text inside a heart, reading 'Bride To Be'. This is attached to a satin translucent bow. 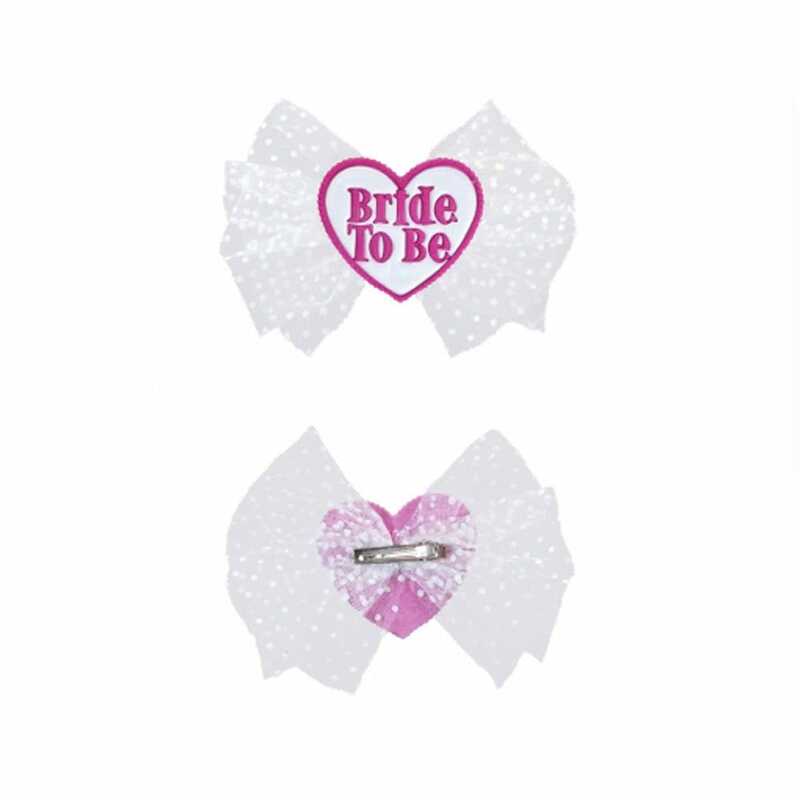 Why not get some Team Bride Sports Logo Badges for the rest of the hen party?